This novel tells an honest and unflinching account of death. The harrowing story means that it’s definitely not an easy read; it tackles the subject of death head-on, describing the inner thoughts and feelings of a woman who is watching her father die. The language Pinborough uses is poetic and precise, making it even more moving, yet it never feels sentimental. Her decision to have the unnamed narrator addressing her father in a monologue throughout makes the novel feel incredibly personal and even more powerful. 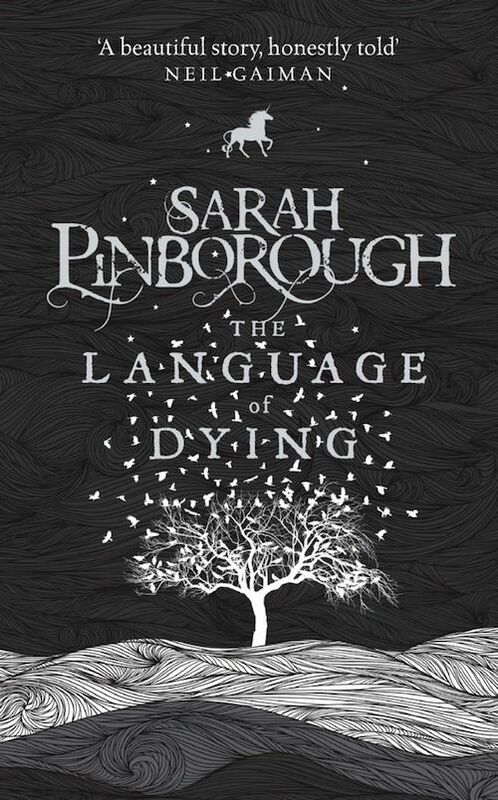 Pinborough tells a tale that isn’t solely about death but one that also explores the unnamed narrator’s relationship with her father, her relationship with her siblings, the fact of facing death and her father’s decline, and her past, making this a rich and full novel despite its brevity. The characterisation of every character in this book is well done, with even the smallest appearances revealing fully formed and well-thought out characters. The way each character deals with death differently adds to the realism of the novel and showcases Pinborough’s excellent characterisation of her characters. While some details are repeated a few more times than probably necessary, all of the characters feel very real. The realism of this book is what stands out for me and makes the novel so powerful and moving. It seems so truthfully told that the fantasy element surprised me at first. It is effectively weaved into the story and doesn’t necessarily feel out of place but because the book is so drenched in realism, the appearance of the fantasy element didn’t affect me as much as I suspect it could have done. I still enjoyed those parts of the book, but the realism of this novel is so startling that it’s this that stands out for me. The honesty and unflinching nature of this book certainly doesn’t make it an easy read, but Pinborough’s raw, honest, and atmospheric novel leaves an impression that is difficult to forget. I “read” The Language of Dying as an audio book because my local library only had this version available. I have to say that at first I missed physically turning the pages (something that has made me never venture into trying a Kindle) – I seem to connect more with the words and the language when I’m holding a book in my hands. But I soon sunk into having the story read to me. It almost made it feel even more real – because the unnamed narrator is addressing her father in the novel, hearing the words read aloud seemed to bring the story alive even more. Have you read any of Pinborough’s other novels? Do you listen to audiobooks? What do you think of them?